Decorative tape and stickers, buttons, beads etc. 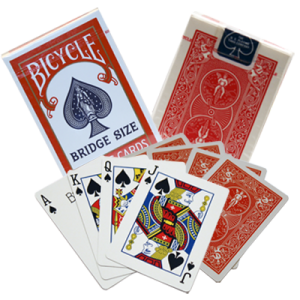 This is one of the best magic tricks for kids to do at home and is a whole lot of fun to make and perform. Here are some helpful suggestions for you. For the square: Use thick card as it works really well and keeps the shape of the square nicely. Or you could use a square cardboard box. Cut the top and bottom flappy bits of the box off. Four card squares measuring 20 x 20 cm each or a box with similar measurements. 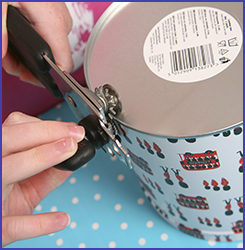 For the tins: A nesting set of tins works really well (biscuit tins or coffee/sugar/tea tins that fit into one another). They are normally sold in sets of three and you can get them from your local supermarket in the home/kitchen department of the store. If you can’t find these, tinned food cans will work as well. Smaller tin – diameter of up to 10 cm, height 12 cm. Larger tin – diameter of from 11 to 15 cm, height 15 cm. We are going to be painting as part of this trick (yeah!). You will need an area that you can cover with some old newspaper. There are also some tricky bits that you may need help with, so make sure you have a grownup nearby. We are now ready to start. Phew! Cut out four pieces of thick cardboard measuring 20 x 20 cm each. Paint the backs of all the squares with the chalkboard paint. 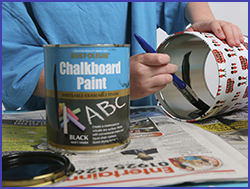 If you are using a box, paint the inside of the box with the chalkboard paint. Be careful not to get paint on the presentation side (the side that the audience will see). Leave to dry. Using the can opener, remove the bottom of the big can only, so you are left with a tube. This is a bit tricky, so ask for help from a grownup if you are struggling. 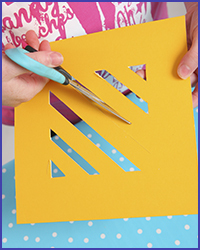 Make sure there are no sharp edges along the sides. Paint only the inside of the big tin with chalkboard paint. You may need to do a few coats of paint to get an even cover. Now paint the inside and the outside of the smaller tin. This is your ‘load chamber’ (the sneaky bit) and will not be seen by your audience. Paint a few coats to cover it evenly. Leave your tins to dry. 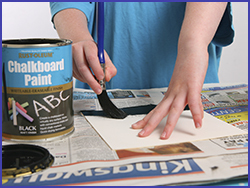 It is helpful to stand the smaller tin upside down so that the paint doesn’t collect in the bottom. That may take a lot longer to dry. Your squares (or box) should be dry by now. Measure and cut out a grid in one of the squares (or one of the sides of the box). (See diagram on the left and photograph on the right). By cutting these diagonal lines, it adds to the misdirection in the performance, as it makes it almost impossible to see the vertical sides of the can when is placed inside the square. 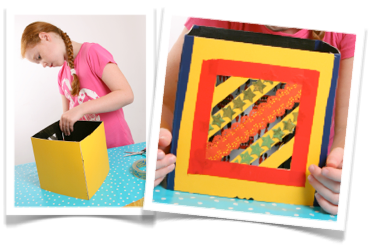 Decorate the square (or the side on the box) with the grid. We used stickers and decorative tape, but you can add buttons and beads and any other decorations you want. Remember, this is what your audience will be seeing when you are performing this effect. If you used a box, you can skip to the bottom of the page. Now we are going to build the square. 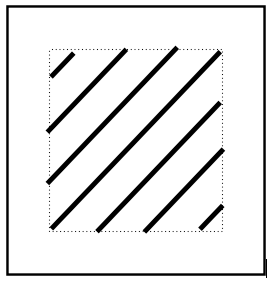 Place the four squares (with the black painted sides facing up) one next to the another. 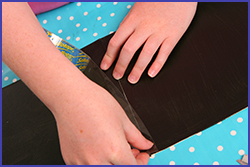 Stick the sides of two squares together with a length of see-through sticky tape. Stick the side of the third square to the first two squares. Now stick the last square to your row of squares. All your squares should now be attached in one long row. 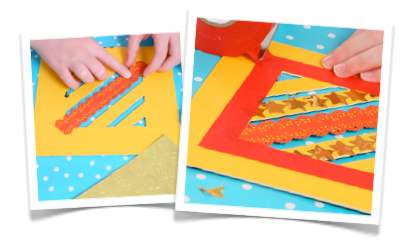 The last step is to make your ‘square’ by sticking the last two sides together. (Look at the photograph on the right). You may need some help from a grownup with this step as you need to stick the insides together and this can be a bit tricky. Then add some decorative tape along the sides of the square to give it a neat finish. This also helps to strengthen your square. 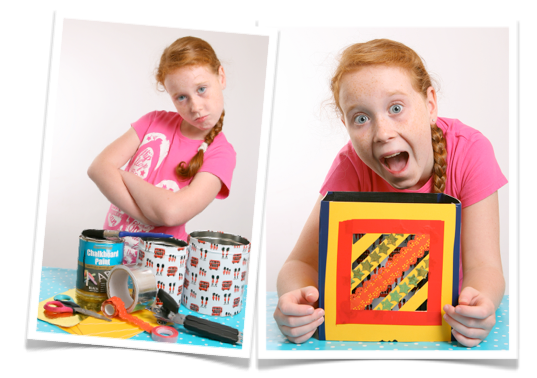 Now you have your ‘Square Circle Production’ props for one of the most amazing magic tricks for kids to do at home. Enjoy your Square Circle Production and see how many different things you can think of producing. Have fun! Thanks for the tips guys! I will be performing this trick this weekend at my first kids party. Wish me luck!! How did that go frank ??? ?